Which version of the Mahamudra upadesha is more widely taught? I prostrate to glorious Vajradakini! Apologies for double post but I need to make a correction. 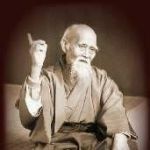 The previous Mahamudra Upadesha teachings I heard from Garchen Rinpoche did begin with: Homage to glorious co-emergence! I prostrate to glorious Vajradakini! is more widely used in the Karma Kagyu school. I'm afraid, I have no clue. Is it normal in the Kagyu to give the Vajrayogini empowerment first? In Gelugpa the Heruka empowerment usually precedes the Vajrayogini in HYT. I don't know the answer to your question, but in information I read about this Vajrayogini empowerment, it is necessary in order to practice Phowa. Vajrayogini is the deity one transforms into during the practice. And they taught Phowa in the days after this empowerment. Last edited by Lhasa on Sun Apr 29, 2018 2:19 pm, edited 1 time in total. I don't know the answer to your question, but in information I read about this Vajrayogini empowerment, it is necessary in order to practice Powa. Vajrayogini is the deity one transforms into during the practice. And they taught Powa in the days after this empowerment. Yes, they gave the empowerment and then the transmission of the phowa which uses Vajrayogini. Interesting that Garchen also said you could use your yidam instead of Vajrayogini. 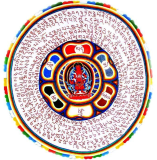 Garchen Rinpoche gave the lung for Kyabje Jigten Sumgons protection wheel. Does anybody know if the english translation by Ken McLeod is free? I had no idea there were so many variations, not to mention the mahamudra issue and the difference between blessing and empowerment. I'm not sure how many variations there are within the Gelugpa, between the Lamas, but my guess is very few. I liked Garchen Rinpoche's explanation prior to the empowerment, relating to the 'old' and 'new' ways. OK, if somebody wants to have the text, PM me. I'm not going to put it online publicly as I don't know if McLeod's translation free, but I hope it's OK when I share it with this community. All other versions I found read phyag rgya chen po, so I changed this. Would you please explain more about what this is and where to find the text? I'm not really certain on the details, Garchen Rinpoche gave the transmission for the text immediately after he completed the Ganges Mahamudra teaching. I received this Empowerment via Livestream there were four in total, the Generation and Mantra Transmission, Tummo then two for Mahamudra. Can anyone with the knowledge clarify the meaning of the last two empowerments? Are there typically daily practice commitments as a part of the samaya for receiving Chakrasamvara for Garchen Rinpoche? I remember Rinpoche saying the root samaya is Bodhichitta.